Recently I had some friends over for the first time for dinner and board games. 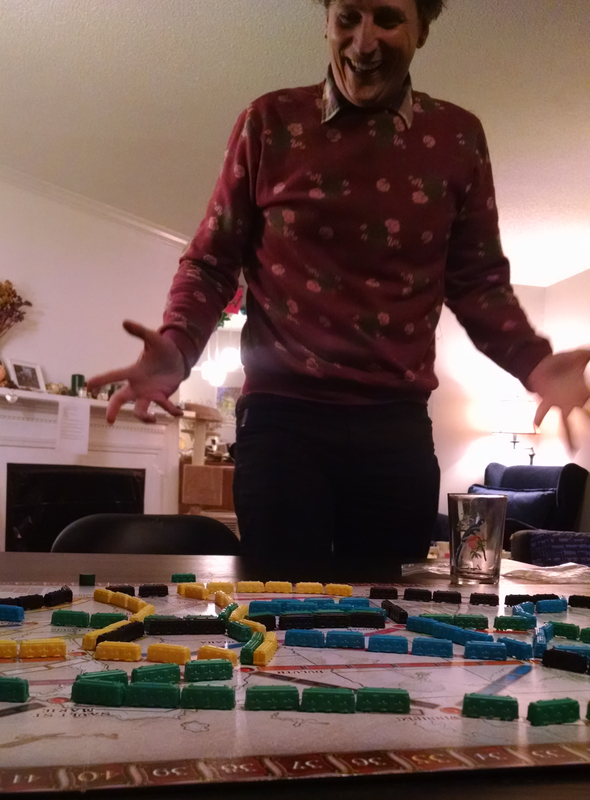 Ticket to Ride, in fact. Have you played? It’s one of the best! 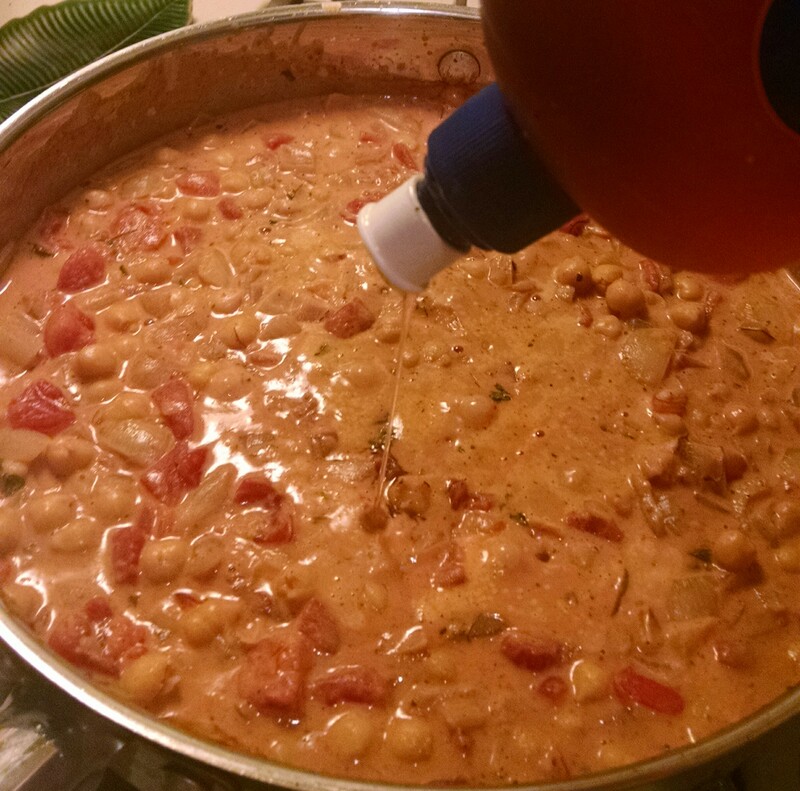 I was pretty short on time, having worked that day, so I put together one of my favorite quick recipes: creamy coconut chickpea curry. I felt super guilty as they heaped praise upon me, because this is one of the quickest and easiest things I make! So quick and easy, in fact, that I threw it together on my lunch break today when I ran home to grab a few things I’d forgotten and needed at the office. 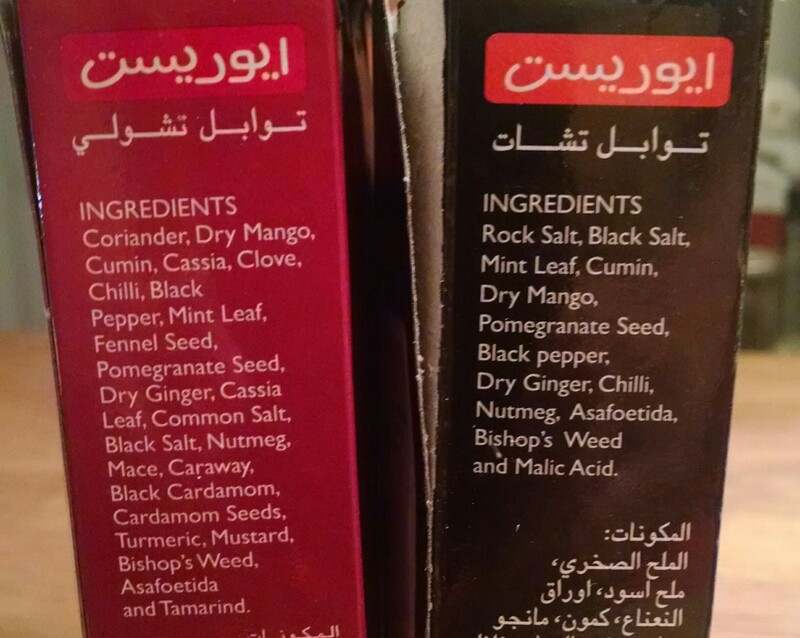 You have three choices for the spice mix. If you have a standard curry powder on hand, feel free to use it. 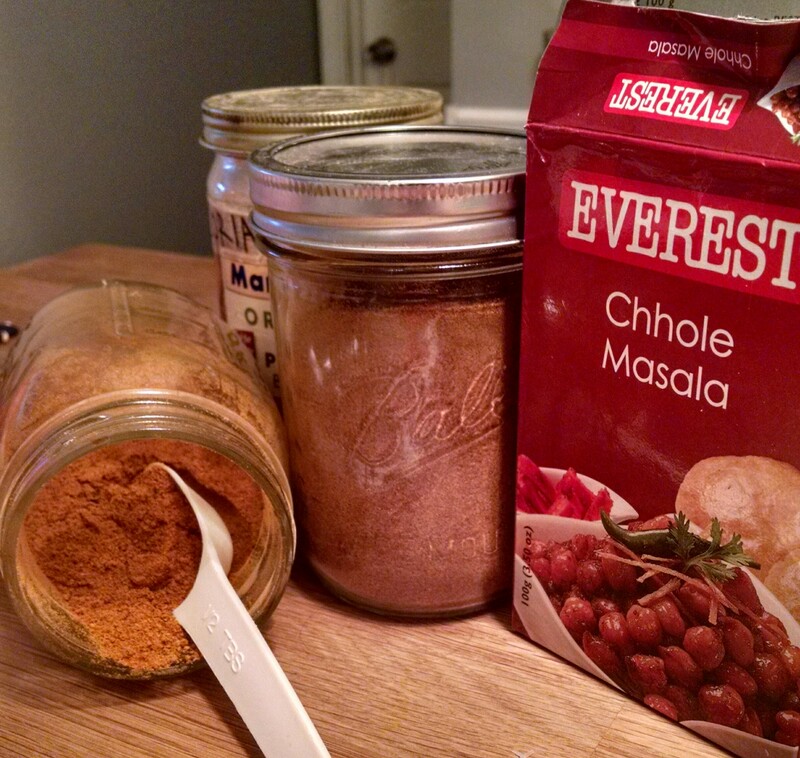 If you have an Indian market nearby, you can search the spice aisle for a packaged chana/chhole mix and use that, making sure to follow package instructions. 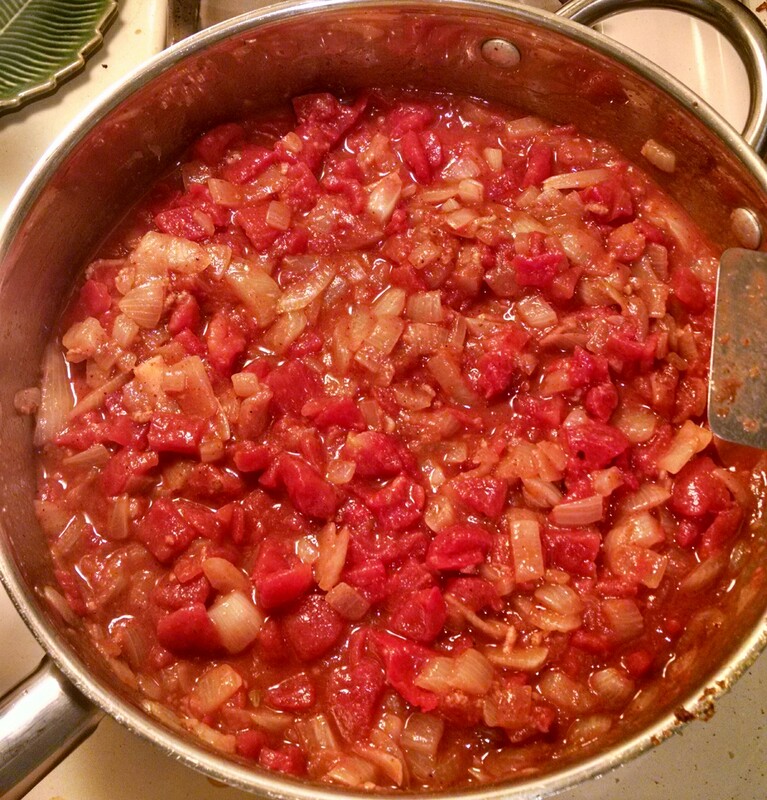 Or you could make your own blend – I previously shared a nice spice mix from PPK in this post. I usually make my own blend, but recently I picked up my first box of packaged spice mix and wanted to give it a try. Regardless of your choice, the instructions that follow will be the same. It’ll taste slightly different, of course, but still great! 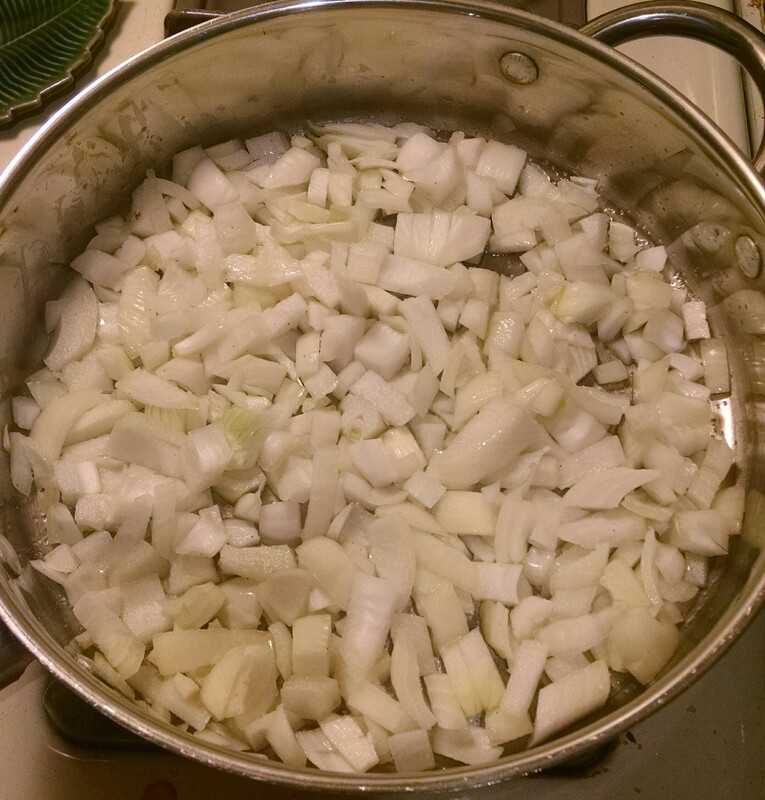 To start, soften the onion in a large skillet, with a pinch of salt. 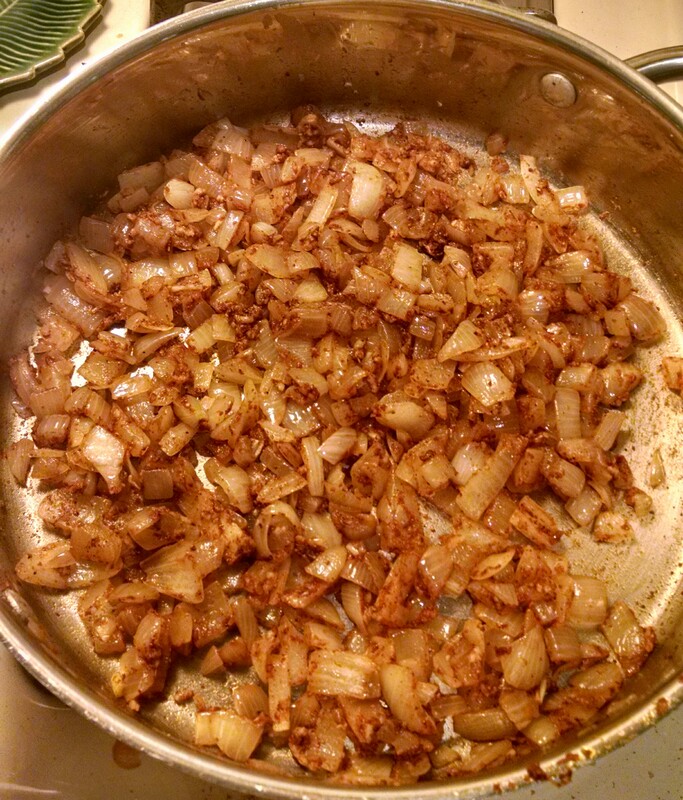 Be sure to warm your pan first, then add the oil, then add the onions. 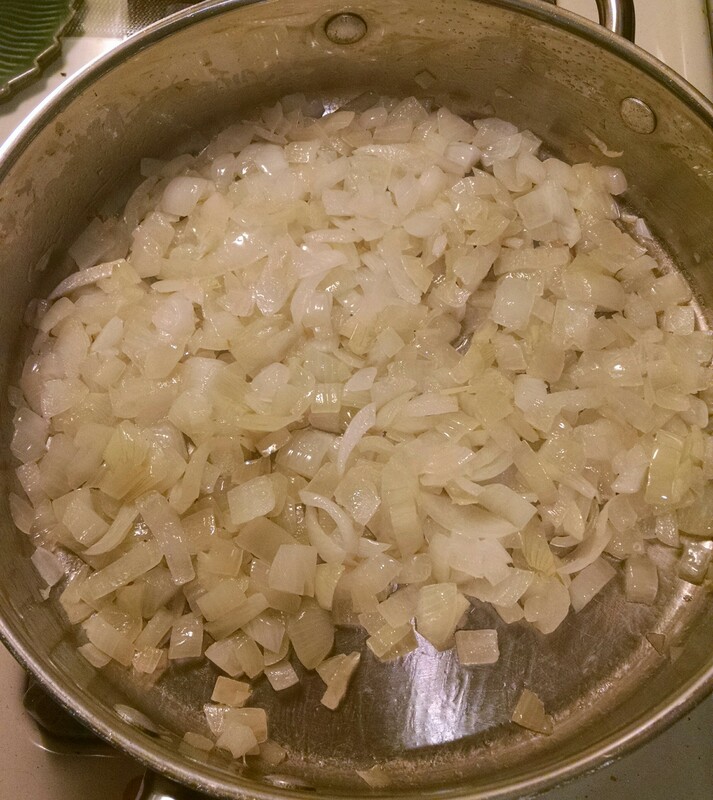 Next, Add the garlic and ginger (if using) and mix well, cooking over medium about a minute. 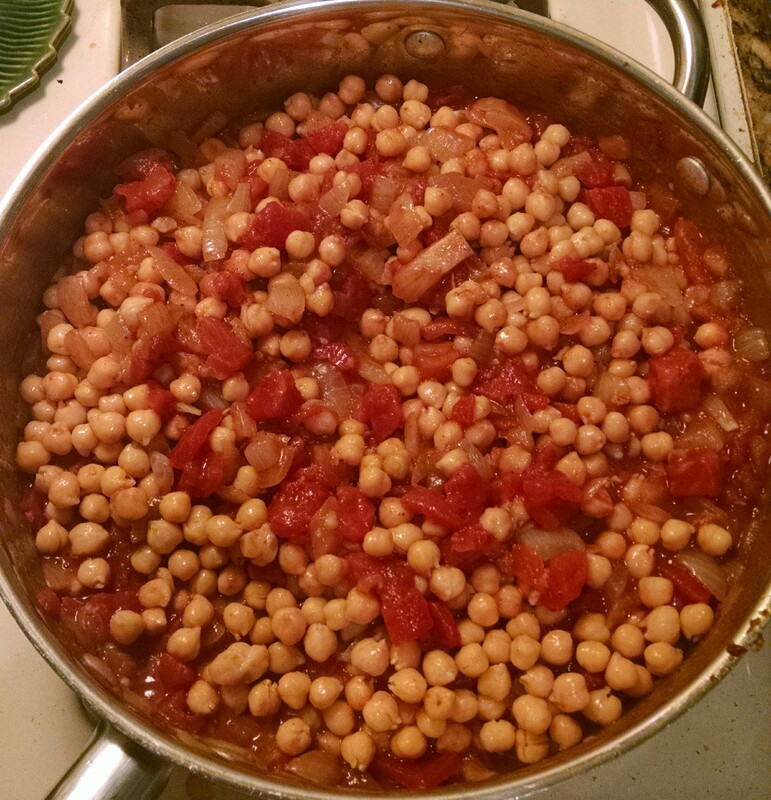 I used chickpeas that I’d prepared from dry. If you’re using canned, you’ll want two cans, drained and rinsed. 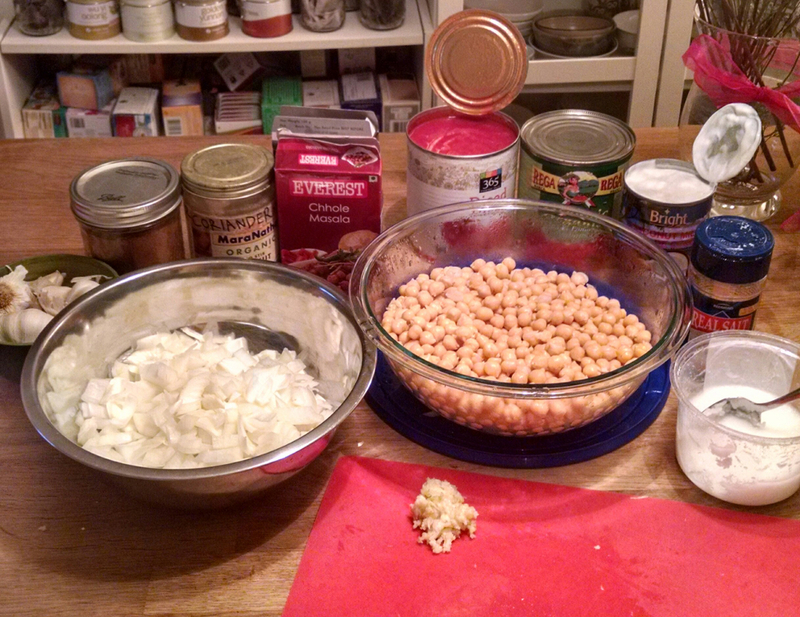 If from a can, expect your chickpeas to be a little softer. 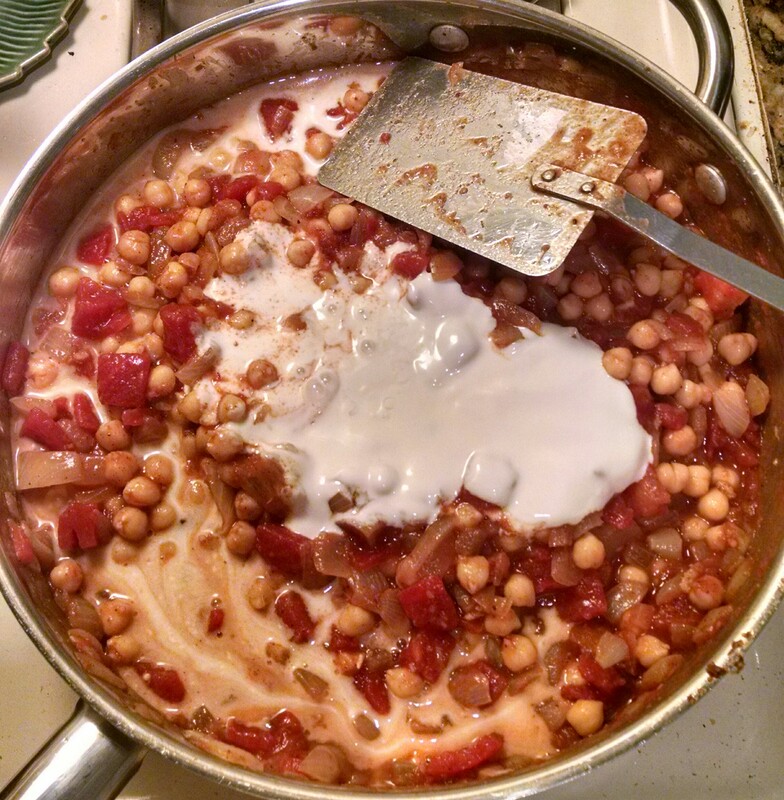 Add the can of coconut milk and mix well to thoroughly incorporate. Let simmer on medium-high for about 10 minutes to reduce and thicken. Add salt to taste. Start with a half of a teaspoon and go up in quarter-teaspoon increments til you get to a place you like. Taste, taste, taste!! If you find you need a little sweetness, add in a bit of agave nectar. You could also use a teaspoon of organic sugar or coconut palm sugar. Again, very flexible! For a little something extra, add chopped fenugreek (fresh methi leaves) or chopped cilantro. Play around with the finished dish adding this or that to your taste: a little more salt, sweet, spicy, sour. This is a great way to learn more about your taste and the way flavors play together. Don’t be afraid to be a little adventurous. 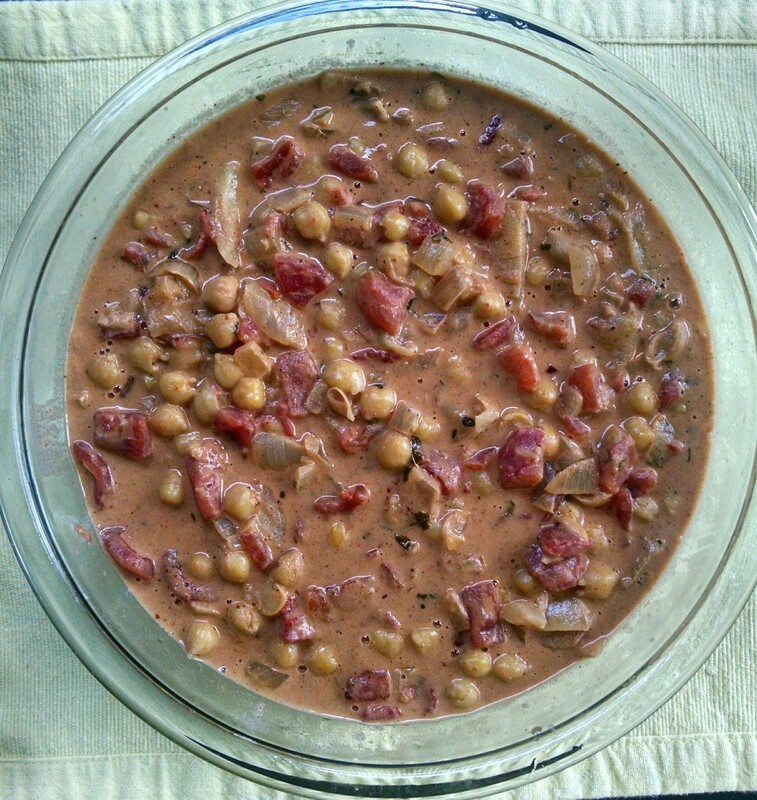 This dish keeps very well in the fridge for about a week. Some say it even tastes better the next day! Taste of salty, sweet, spicy, sour and adjust as needed by adding more salt, sugar or agave, cayenne or red pepper flakes, lemon, etc. Serve on rice! Play a board game! Be happy. Yes to curry! It’s amazing how great a dish you can make with just a few cans of tasty things and a bunch of spices. Also!! 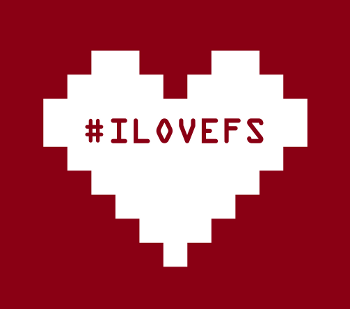 Did I tell you I am applying to code schools now? YES. Fingers crossed! Me too! 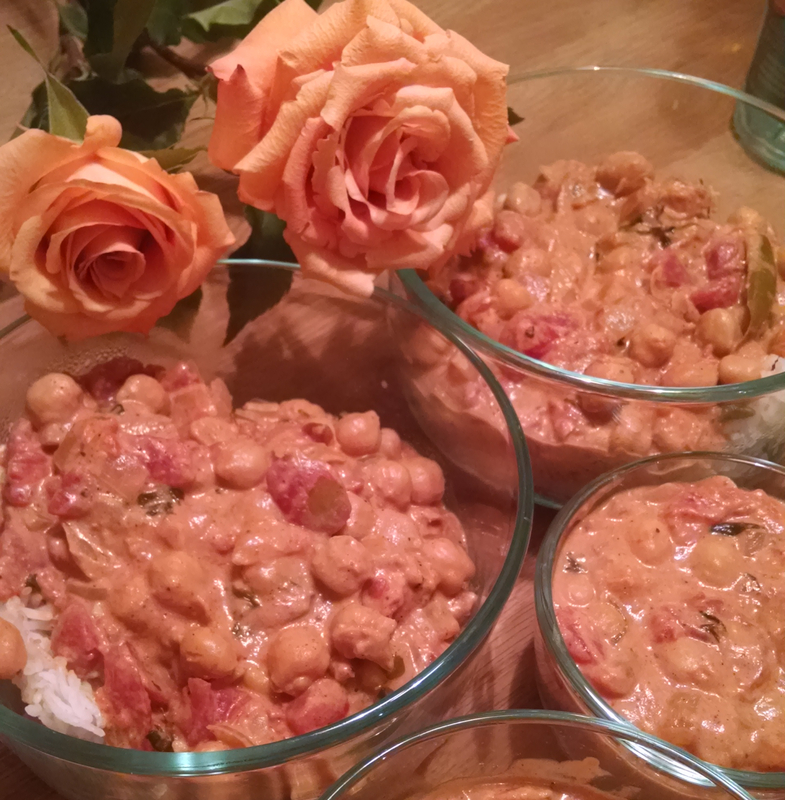 I very like creamy coconut chickpea curry, but I never cook it better than my mother.